I love frittatas because they are so versatile and easy. One of the biggest things I hear from people is that they don’t have time to make healthy food. This is definitely a secret weapon for your healthy fridge. 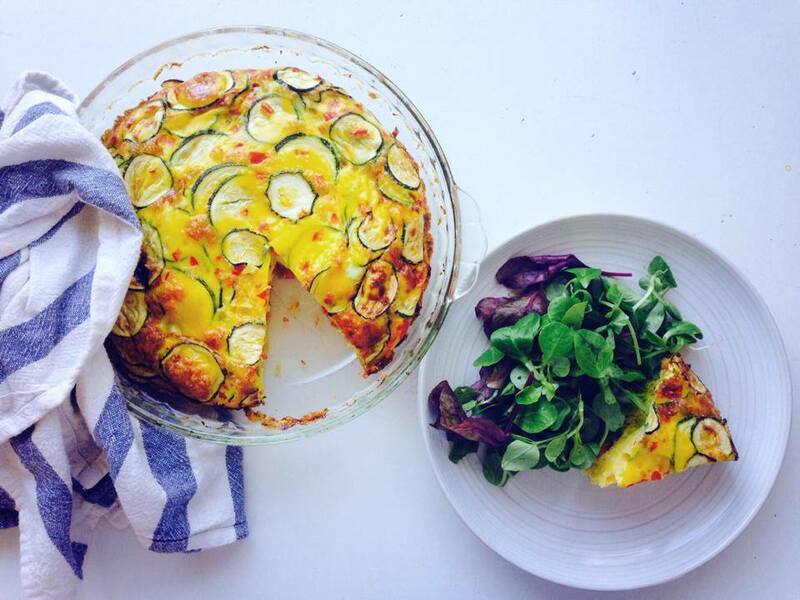 Make a frittata on a Sunday night and you have meals for days prepared. You can eat them all day long: for breakfast, a sneaky slice for a snack, or for lunch or dinner. You can grab a slice, wrap it in tin foil to eat on the go or at work for breakfast. Add a big salad and have it for lunch or dinner. Quick, easy, filling and healthy. Ticks all my boxes! Plus the possibilities are endless. It’s a great way to use up veggies you might have hanging around. To the bowl of eggs, mix in courgette, red pepper, smoked salmon etc. if using. Rub a glass pie dish with olive oil, add egg mix. Cook in the oven at 180C for 45-50 minutes or until cooked thru and lightly brown on top. Check the center with a toothpick to make sure it's fully cooked. Enjoy for any meal with salad for the next few days!